Here I go again making a list!! Earlier this week I posted about my goals for 2015 … they were more general, life-encompassing hopes and desires for what I want to achieve in 2015. This list is more focussed and centred around my creative goals, and oh there are many!! I am taking inspiration from my IG friend Angie at Gnomeangel and her post about her own Must Make List (I’ve even taken inspiration from her header image! 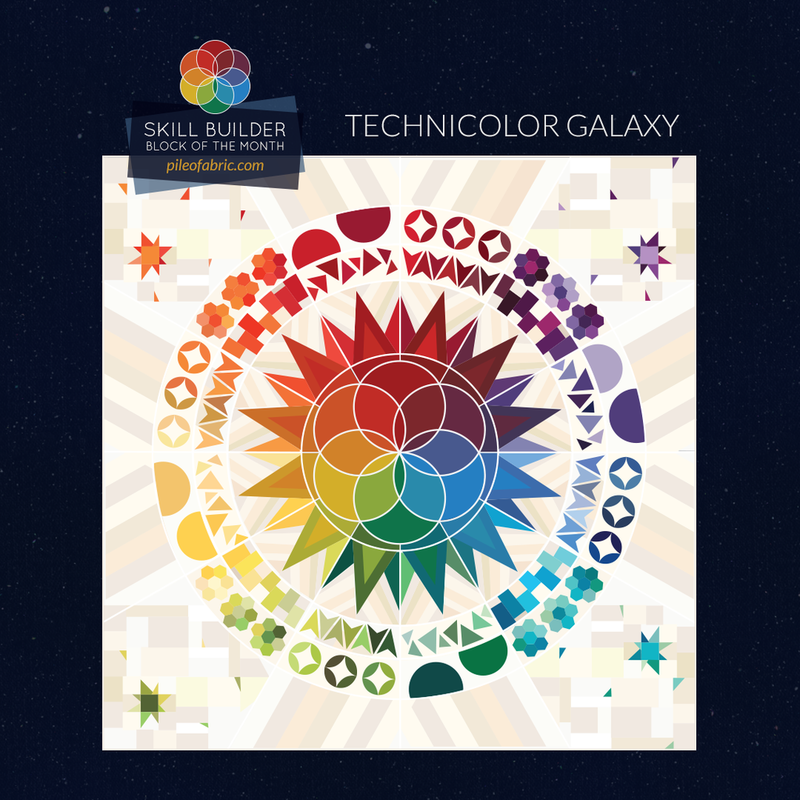 !…sincerest form of flattery right??). Like Angie, I know my list may end up being far-reaching, and I may divert over the year, but I do like to have a path to follow. If I stumble across a different path, then so be it, things in life are never constant. 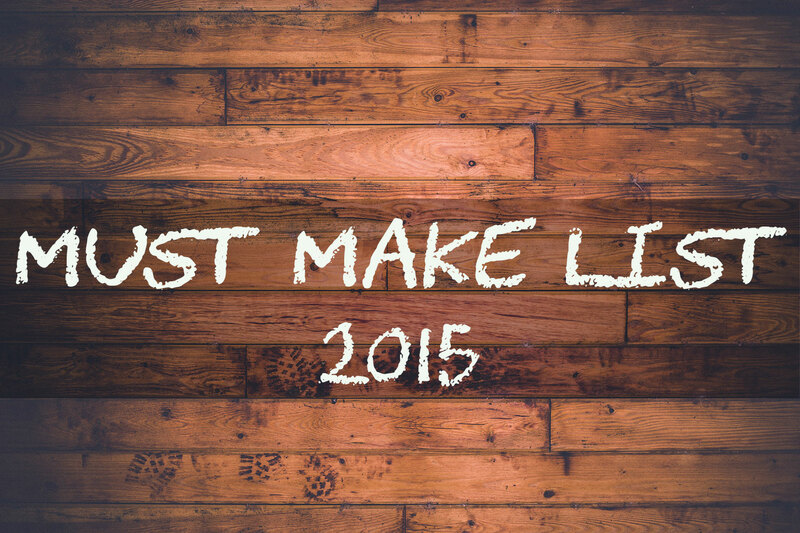 Before I breakdown into individual project goals, I want to outline my year-long goals. These are ones that will be worked on over the course of the year and that I have made commitments to already so there is no going back or changing my mind here. I’ve been accepted as a Swarm Leader for the Bee Hive Quilting Bee run by Angie. You can read more here. 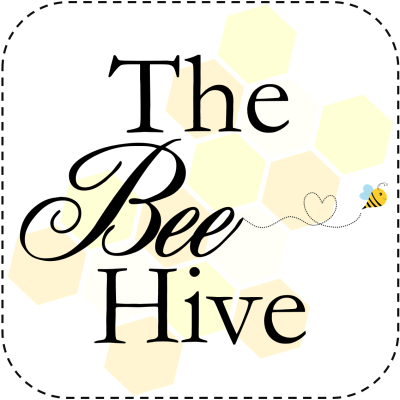 I decided to offer my services as a swarm leader as I’ve not been involved in a bee in that capacity before, and I love trying out new things. 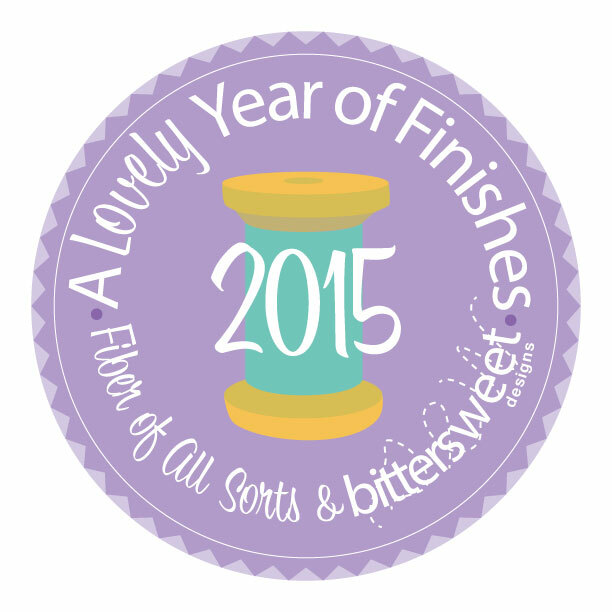 I am also going to complete the 2015 Skillbuilder BOM run by Alyssa at Pileofabric. I don’t get to attend face-to-face classes at all these days so I figured this will be a good way to continue to learn some new techniques (and hopefully make minimal mistakes). Plus I love a rainbow anything!! OK, so what else am I attempting this year?? This month I have a job of finishing my little niece’s quilt. There is also a secret squirrel solids project that I must finish! This is going to be all about a plus quilt (or variation of that). I have wanted to make a plus baby quilt ever since I made this and there is a special baby on it’s way (not mine, unfortunately, but I am just as pleased this one is on it’s way as I would be if it was ours) and so this is the month for it! 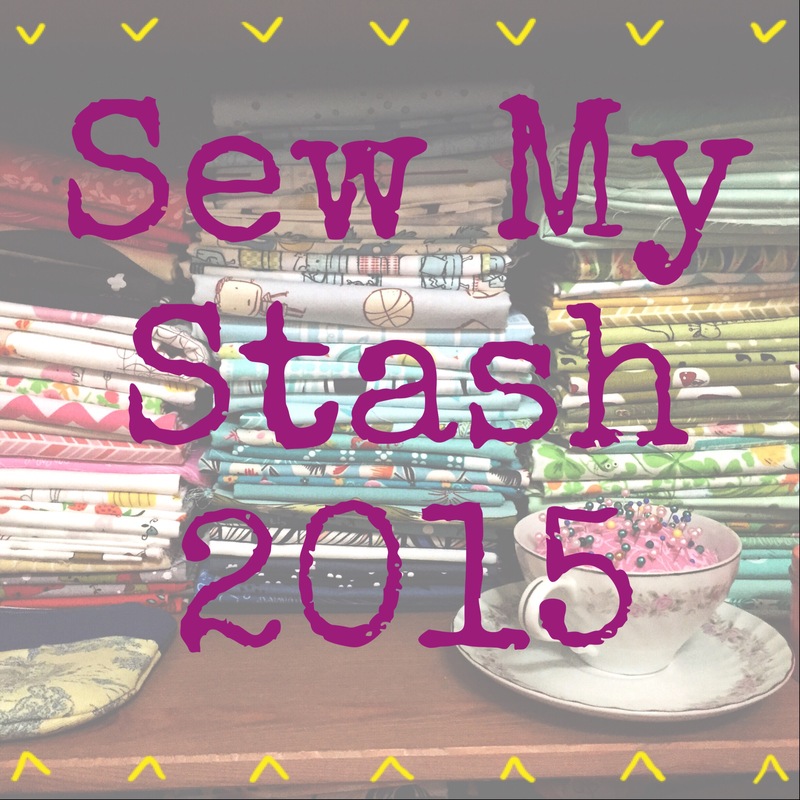 The quilt pattern idea that’s in my head must make it’s way out completely this month! A very special birthday quilt will need to be completed this month. I have not decided on design yet but I know it will be predominantly black & white with fuschia…if you follow Cotton & Steel designers on Instagram you may have seen a picture recently of a range that will be available in April I believe…that is a good example of what I am going for. Modern Handcraft hexagon project. I love the freshness of these hexies. My Cordelia’s Garden blocks that I received from last years Aussie Modern Instabee will need to be put together to make my very first bee quilt. I have started an ideas list for my A Handmade Christmas series of gifts this year but even though they aren’t finalised now they will need to be done! Wow…I know there will be some additions/substitutions over the course of the year, but I intend to power through these projects. A lot of focus will be required. 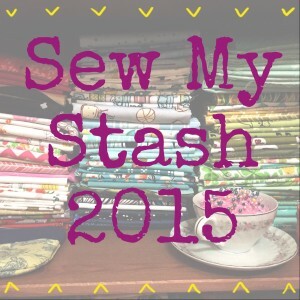 Of course I will be doing all this with the intention to also Sew My Stash 2015, and to keep me on track I will use the online “tools” of A Lovely Year of Finishes 2015 and Finish-along 2015. Wish me luck people!! ← What is This Year all about? Wow! Impressive list! We’ve got some double up’s so that’ll be great for keeping the motivation up. Can’t wait to see your BOM – it’s my first too and I’m a little bit freaking out about bias appliqué, but nothing ventured, nothing gained. Can’t wait to see your 2015! Thanks Angie…I might be over-reaching a little but, hey, you have to have a goal!! We do have quite a few double-ups…it will be nice to see each others interpretations! And I’m hoping the BOM will improve my ability to do curves!! !